Apple is introducing a new update to Final Cut Pro X, the most popular version of its professional video editing software, with more than 2.5 million seats. Final Cut Pro 10.4.1 introduces a groundbreaking format from Apple, ProRes RAW, which combines the visual and workflow benefits of RAW video with the performance of ProRes. The update also adds advanced closed captioning tools that allow video editors to easily view, edit and deliver captions from right within the app. Apple is also adding complementary new features to Final Cut Pro companion apps, Motion and Compressor. 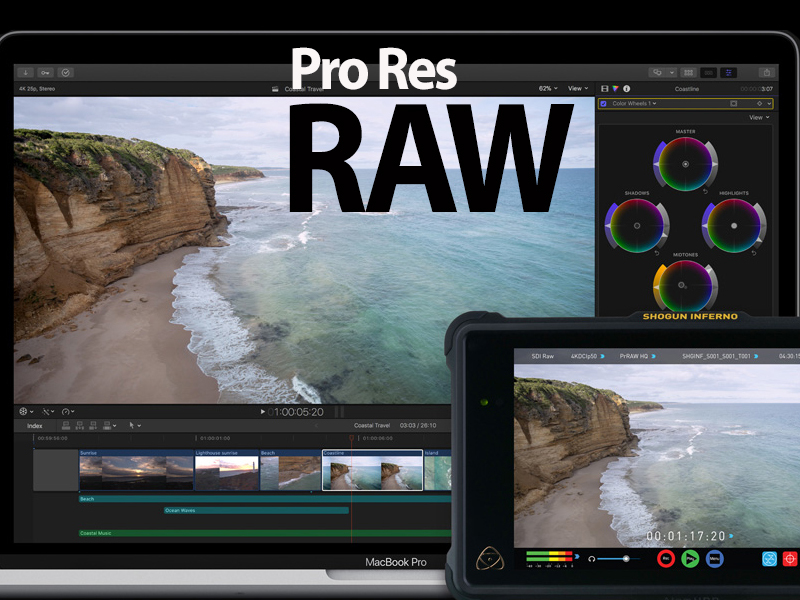 ProRes RAW is a new format from Apple that offers the quality and workflow advantages of RAW with the stunning performance of ProRes. With ProRes RAW, editors can import, edit and grade pristine footage with RAW data from the camera sensor, providing ultimate flexibility when adjusting highlights and shadows — ideal for HDR workflows. And with performance optimized for macOS, editors can play full-quality 4K ProRes RAW files on MacBook Pro and iMac systems in real time without rendering. ProRes RAW files are even smaller than ProRes 4444 files, allowing editors to make better use of storage while providing an excellent format for archiving. As closed captioning becomes increasingly important around the world, Final Cut Pro now includes powerful closed captioning tools for professional filmmakers, YouTubers and students looking to add captions to their projects without the need for expensive third-party software or services. Users can import closed caption files directly into their project or create them from scratch. Captions appear in the viewer during playback and can be attached to video or audio clips in the timeline, so they automatically move with the clips to which they’re connected. An all-new captions inspector makes it simple to adjust caption text, color, alignment, location and more. Users can even create captions in multiple languages within the same timeline and easily share captioned videos to YouTube and Vimeo. And in the share window, a new Roles tab displays titles, video and audio roles in a single consolidated interface, making it easy to configure roles and closed captions when sharing. Motion 5.4.1 and ProRes RAW enable motion graphics artists to take full advantage of RAW image quality with superb performance and flexibility when designing graphics and effects. Compressor 4.4.1 gains support for closed captioning with comprehensive controls to view, adjust and deliver captions as part of a batch or iTunes Store package. This is due to happen on Monday the 9th April and is a free update.